Helping you to stay beautiful, the chic black glass dresser unit with two drawers and an oval mirror will make a stylish addition to your bedroom. An adjustable mirror allows you to tilt it to a suitable position making it easier for you to apply those finishing touches. Two drawers, with glossy handles, are an excellent way to keep your makeup and jewellery organised and your bedroom clutter free. 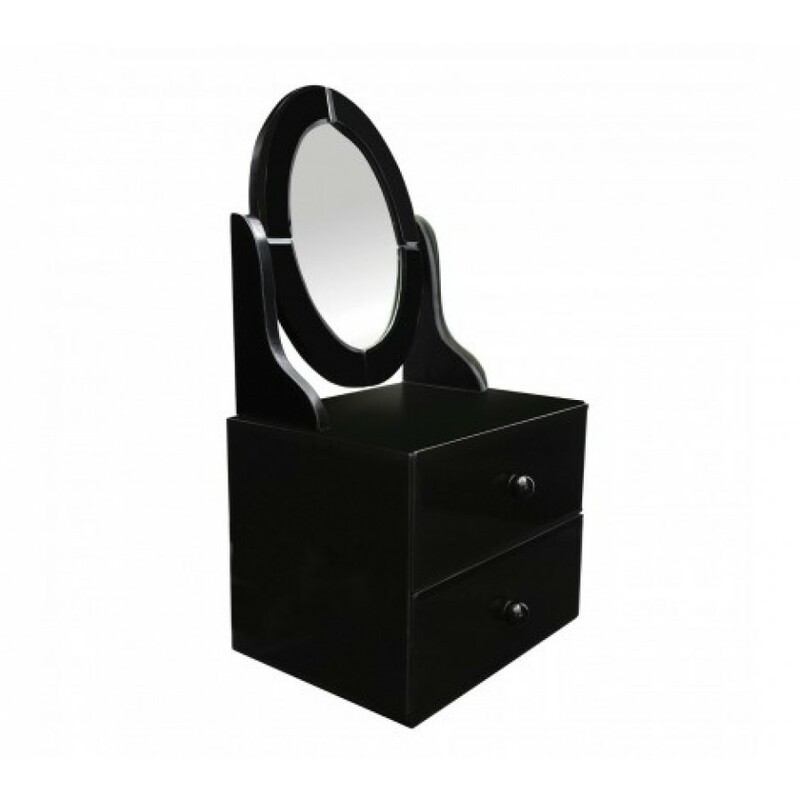 The sleek black glass is durable yet lightweight allowing you to manoeuvre the dresser unit with ease if required. The chic design will complement most decors while adding a stylish and practical unit to your bedroom.